For over 10,000 years, people have left evidence of their presence in the Las Vegas valley. Relics from the Gypsum Cave near Lake Mead and Tule Springs Ranch in northwest Las Vegas suggest that a hunting culture was at least temporarily in the area at about 9,000 B.C. These people, who subsisted by hunting, were likely following the large mammals across the Bering Straits and into North America. About 2,000 years ago, a hunter-gatherer culture entered the region. These Anasazi people were related to the general basket-maker culture that spread over much of the southwest during this period. They settled primarily on the lower Virgin and Muddy Rivers, in southern Nevada and learned to grow maize, beans, and squash, and eventually abandoned the nomadic way of life. At first they lived in pit houses, but later transitioned into the typical Pueblo-type of housing. Although these people were basically farmers, they also hunted. Clearly their range extended as far west as Red Rock Canyon, since evidence has been found in the canyon of pottery sherds, roasting pits, and pit houses. From 1150 to 1450, these Puebloan people gradually abandoned their well established communities and withdrew to the Hopi, Zuni, and Rio Grande Valley regions. Why this migration occurred is still a mystery. Some have suggested that drought was a major factor. Others have suggested that village factional disputes, political collapse, religious failures, witchcraft, disease or interrupted trade routes may have contributed to the abandonments, but it seems likely that the Puebloans would have regarded those factors as local, not regional, issues. Sometime after 700 A.D. the modern Paiutes entered the area. The Paiutes learned to survive in the extreme climate of the Mojave Desert and were virtually unchanged in their ways until contact with the white man. Accounts of raids from the more hostile Mojave Paiutes into this area for plunder and slaves exist. The Spanish, Mexicans, Mormon pioneers, and mountain men followed these intruders. The first whites in the Red Rock area included trappers and explorers. These men passed through the valley en route to the pueblo of Los Angeles in California. In 1829, Spanish entrepreneur Antonio Armijo led the first trade caravan to complete the trail from Santa Fe, NM to Los Angeles. This became known as the Spanish Trail. By 1847 the western portion of the trail was being used by Mormons from Salt Lake City to obtain supplies from California. 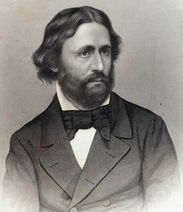 In 1844, John C. Fremont, ‘The Pathfinder,” passed along the trail when returning to the east after the second of his western exploration trips. He rested his men and stock along the Big Springs (now encompassed by the Springs Preserve) in the Las Vegas valley. This was the source for water for Las Vegas up until the 1950s. Fremont is credited with naming the valley "Las Vegas," meaning "The Meadows" in Spanish, He wrote that he hurried his trip through Nevada because of unfriendly Indians and the “Jornada del Muerte,” the waterless fifty mile stretch of the trail from Las Vegas to the Muddy River. 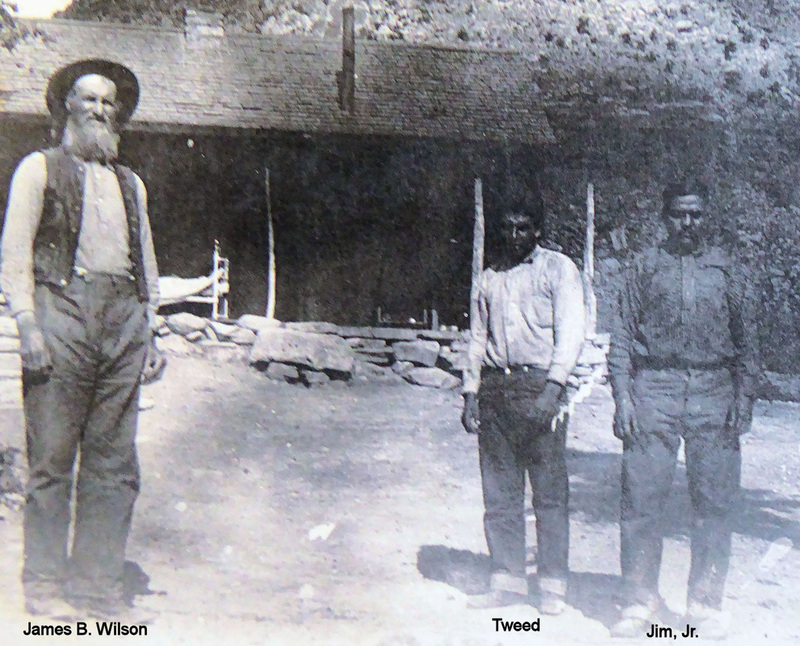 The first whites settled in the Red Rock area at Sandstone Ranch (now Spring Mountain Ranch State Park) in 1876 when James B. Wilson filed on the property. The ranch has changed hands several times in its history, each of the owners being unique personalities. Willard George, the “furrier to the stars,” Chet Lauck part of the old-time radio team of Lum and Abner, Vera Krupp German actress and wife of the Krupp family heir, Howard Hughes the famous movie producer, aviator, and casino owner, and Fletcher Jones, automobile dealer all had a significant impact on ranch development. In 1974, the State of Nevada purchased the property for inclusion in the State Park Division. assist the public in becoming aware of tracts of land where recreation was expected to be a major use. In 1968, the BLM, as managing agency, completed a master development plan for the area. This plan included a high level of recreational development and met with stiff opposition from environmental groups. Most of this plan remained unrealized and a new plan was developed. In 1976, the "old Sandstone Ranch", now known as Spring Mountain Ranch, was entered into the National Register of Historic Places. The district includes the entire 528 acres of the State Park. In the early 1800's, locals knew the area around the ranch as the "Old Williams Ranch" or the "Bill Williams Ranch". William Sherley Williams was a famous trapper, explorer and mountain man who turned to horse stealing after the decline of the fur trade. During the great horse raid of 1840, Williams may have rested the large herd between Cottonwood Springs (Blue Diamond) and the ranch. The numerous springs that flowed from the sandstone hills provided and abundance of water and a rich growth of forage. Though Bill Williams never had any permanency in the area, someone, around 1864, did build two sandstone structures. The prevailing theory is that "grain merchants" from the Ivanpah mining district in nearby California built the structures and farmed the area to supply the miners. These buildings remain at the site today as the "old cabin" and blacksmith shop. Boone. Jim Jr. never married. After making some bad inverstments and taking on loans that they were not able to settle, they were forced to mortgage the ranch for $13,000. In 1929, Willard George, a successful California furrier who had spent time at the Wilson ranch in the late 1890s, heard about the plight of the ranch and decided to pay off this mortgage. Willard placed a covenant in the deed, that allowed Jim Jr. and Tweed to remain on the property for the remainder of their natural lives. Interestingly, none of the subsequent owners ever contested this "life estate." Buster, Tweed’s son, remained on the ranch off and on until the death of this father. He worked for the various owners until his death in 1972. During his ownership, Willard George built a small home for his family, a chinchilla shed, and foreman's house. He also enlarged the orchard. His business kept him away from the ranch most of the time so that day to day management of the ranch was left up to the Wilson brothers. In 1944, George leased the ranch to Chester Lauck, who purchased it four years later. Chester Lauck, with his boyhood friend Norris Goff, created the radio characters of "Lum and Abner" who ran the imaginary "Jot 'em Down Store", where customers "took what they wanted and wrote it down". Their radio show ran five nights a week until 1954. They also made seven movies during their careers, based upon the radio characters. Mr. Lauck renamed the ranch the “Bar Nothing Ranch.” This area became a retreat for his family from their hectic lifestyle in Los Angeles. The Laucks built the main ranch house that now serves as the Visitor Center. In 1955, the Laucks sold the ranch to German actress Vera Krupp, the only owner other than the Wilsons who made the ranch the main residence. Vera, born Martha Vera Wilhelmine Hossenfeldt in Meine, Germany, became a naturalized U.S. citizen in 1947. She married German industrialist Alfried Krupp, her fourth husband, in 1952. Though Mr. Krupp was not allowed to come to the United States due to his conviction for war crimes in World War II, his wife came back to the States. They divorced in 1957. At the Ranch, now renamed Spring Mt. Ranch, Vera hoped to raise a strain of white-faced Herefords and Brahma cows more suited to the harsh desert environment. An interesting event occurred on April 10, 1959. While Vera and a ranch employee were having dinner, three men forced their way into the main house, stole the 33.6 carat blue-white diamond “Krupp” diamond right off her finger. It was recovered six weeks later in New Jersey. Mrs. Krupp lived at the ranch until 1964, when she moved to Bel Air, California due to poor health. During her ownership, she modified the interior of the main house and added a swimming pool and a bedroom with a secret passage. She also added a new guest house where Willard George had his small residence. This is now used as the main Park Ranger Station. She went on to build various sheds, barns and a kennel for her Great Danes. In 1967, she sold Spring Mt. Ranch to Howard Hughes for a reputed $625,000. hotels, vast tracts of undeveloped land surrounding the city, and over 1700 mining claims throughout the state. It is unclear if Howard Hughes ever visited the ranch. The ranch was mainly used by Hughes' employees, particularly Robert Maheu, his “Director of Nevada Operations.” The property went into caretaker status in 1970, and was sold in 1972 to business partners Fletcher Jones and William Murphy. Fletcher Jones and William Murphy purchased the 528 acres for 1.5 million dollars. They planned to turn the ranch into a gated golf/equestrian residential estate. Resistance from the public caused the Clark County Planning Commission to stall their application for rezoning. When stiff opposition to the plans continued to mount, Jones announced his intention to auction the ranch, as he had no other use for it. The state of Nevada had first been offered the opportunity to buy the ranch from Vera Krupp, but was unable to come up with its million dollar share of the purchase price. By missing this opportunity, the state had to pay twice as much in the acquisition of the property from Fletcher Jones. Today the park is used by visitors interested in hiking and/or picnicking in the picturesque setting of the sandstone cliffs. It also attracts visitors curious about previous owners of the ranch and its historic significance in the development of the Las Vegas area. Public events held at the ranch each year include holiday celebrations on Easter, Christmas, and Halloween, Civil War reenactments, “Cabin Fever Days,” and Pioneer Day. These events are structured to promote the interpretive goals of the ranch. The Docents played a major role in getting the interpretive goals of the park met. They set up the first training classes, assembled an in depth training manual, and raised funds to purchase many items still on display in the ranch house. They continue to play a critical role in keeping the visitor center open 7 days per week and in helping with the many park activities, and maintenance.